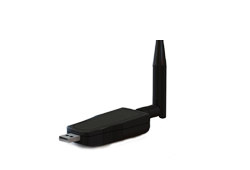 Powered by any USB port, Genusity’s new long distance beacon, the BLAST 3.0 can transmit your ad or message to every Bluetooth enabled cell phone in a radius of 1600 feet (500 meters) of you. Compare that to the size of a football field at 360 feet! You can use any USB AC adaptor, car adaptor, or computer with a spare USB port. I tried out my BLAST 3.0 out over the weekend during a local outdoor festival. I geared my message towards the vendors that were set up wanting more traffic driven to their booth. The festival itself was on the grounds of a historical museum and I was going to transmit information on their tours and gift shop for them at times in exchange for letting me put the beacon there. This location put me dead center of the festival. Nice. I had other beacons in the area transmitting. What is nice about using the beacons, is that once placed, all you do is manage them from your chosen device and location. They do the work for you. But, just as the crowd started to arrive on Saturday a storm moved in and the rain did not stop until Sunday afternoon. Everybody went home. I’m sure the local pizza shops enjoyed the extra business from it. I just continued transmitting and by the end of the weekend I had received 81 new leads. I was very pleased with my results. For anyone that sets up at festivals, health fairs, flea markets, employment fairs or anything like those events, this is a perfect tool to advertise during the event and even before the event. There are also trade shows, gun shows, antique, RV, business and networking events that vendors could increase sales and leads. Thru the end of the year, the BLAST 3.0 is on sale. The introductory price is $40 a month with a one time activation fee of $40. Your total due for your first month when ordering would be $80. From your second month and forward, you would pay $40 a month. with a spare USB port. Or you can get three for $90 a month with a one time activation fee of $90. Total due when ordered would be $180. Your second month and forward, $90 a month. BE SURE TO CHECK OUT ALL BEACONS ON SALE THRU THE END OF THE YEAR!